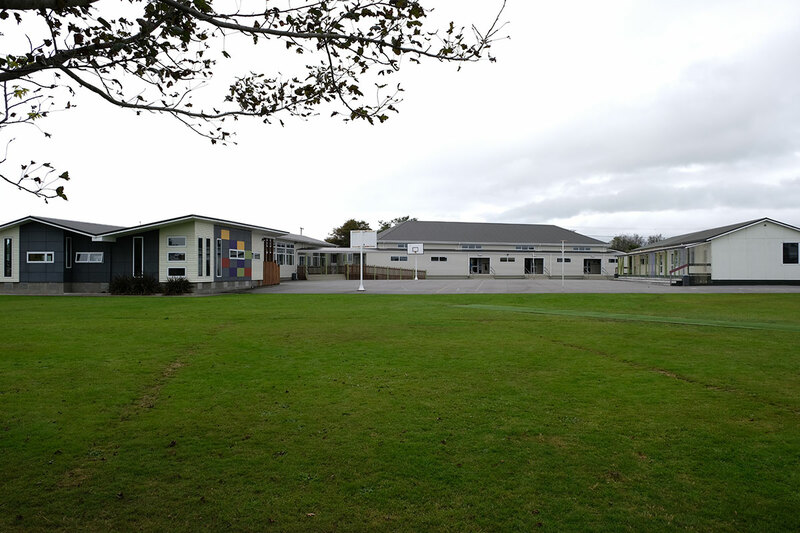 WelCom continues its Hikoi of Faith with a visit to the Westport parish and pastoral area of St Canice. It extends along the West Coast of the South Island. It borders Porarari River to the south with the Greymouth parish. 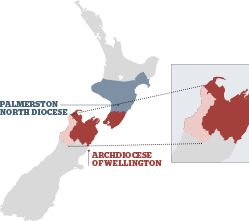 To the east it borders with the Reefton parish and to the north, it extends as far as Karamea. The region has a proudly independent heritage with an economy built on farming, mining and forestry. 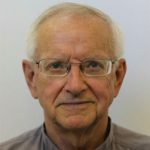 Parish priest is Fr David Gruschow. 1867: Westport parish of St Canice established. Fr Thomas Walshe first parish priest. 1868: The original Catholic Church in Westport was built near the beach. 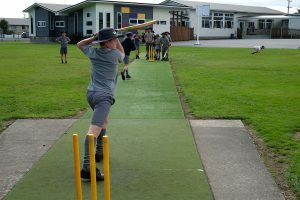 Others in the district were: St Patricks (Charleston and Addison’s Flat), St John the Evangelist (Brighton), Our Lady of Perpetual Help (Waimangaroa), Sacred Heart of Jesus (Denniston), St Marys (Cape Foulwind), St Francis (Millerton), St Joseph’s (Granity). 1869: Hibernian Society established in Buller. 1875: Alongside the Parish of St Canice there were churches at Brighton, Charleston and Addison’s Flat. Waimangaroa a tiny settlement to service coalmines and small settlements at Granity and Mokihinui. Denniston, Millerton and Stockton, all major mining towns of the future, were yet to be established. Karamea began to receive its first settlers. 1878: Church destroyed at Charleston. 1886: Westport branch of the Irish National Land League, part of St Canice’s Church and School. 1886: Bishop Redwood 13-day visit to Westport, Charleston and Addison’s Flat. 1887: St Canice’s Church, Westport, built corner of Brougham St and Queen St, blessed by Archbishop Redwood in 1889. 1888: Fr John Morrissey appointed assistant to Fr Walshe and remained in Westport as curate until 1894. 1889: Easter picnic and first-ever rugby match between St Canice’s and the Westport state school at McPadden’s paddock. 1894: The first of seven sisters of Mercy arrived to staff the newly built convent school, later known as St Mary’s College. 1894: Sisters of Mercy took over teaching at St Canice School. 1890s: St Canice pupils recognised for success in Trinity College and Royal of Music examinations in theory and practice. 1903: St Francis Church at Millerton blessed and opened on Sunday 27 September. 1910‒1912: Fr James Joseph McMenamin curate at St Canice, one of first priests ordained from Holy Cross College Mosgiel in 1909. He was transferred to Petone and then became a chaplain in WWI. He was killed on the battlefield administering last rites. 1911: St Mary’s College opened, the first high school on the West Coast. 1914: Opening of St Joseph’s school at Granity, staffed by Sisters of Mercy. 1914‒1918: WWI, drew men from the communities overseas. 1930s: The Great Depression saw many families destitute and hungry. 1931: New St Josephs’ Church built in Buller and opened by Archbishop Thomas O’Shea. 1970s: Current Church of St Canice built and opened, Brougham St, Westport. The parish of St Canice in Westport was established in 1867 when Fr Thomas Walshe was appointed as the first parish priest. Today, attendance at weekly Sunday Mass at St Canice is around 140 people. 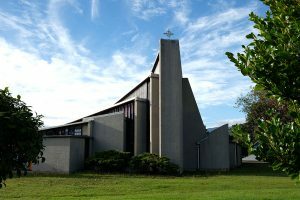 Mass is held at Karamea every two weeks for a small group of parishioners. About 20 minutes south of Westport, there is a roadside grotto of Our Lady at the small settlement of Charleston, where we gather for prayer. Westport’s population of about 5000 to 6000 people is dwindling, which is an economic challenge for the area. The economy has traditionally been mining, dairy farming and forestry. Mining has decreased markedly in recent years with a downturn in coal prices so the industry is a pale shadow of its former self. There has been an exodus of working people and families over the last six years. This has resulted in a decrease in house prices, which has brought more retired people to the town. There are also more people on supported living who have come to live here. 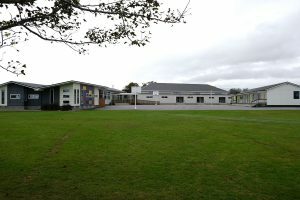 St Canice School is a significant part of the parish life. 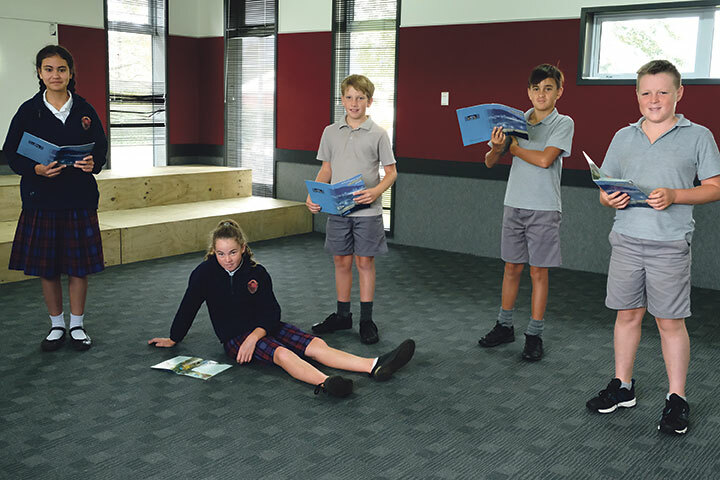 The Archdiocese has provided resources to the school, including funding to update the buildings and facilities. This support has been very well received by our community. 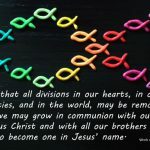 On 11 August this year, following a successful Sacramental programme, Cardinal John Dew will confirm a group of children here. 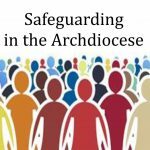 The Parish Council meets every two months; a finance committee has recently been set up; the Society of St Vincent de Paul is very strong and works closely with the school; there is an active Pro-Life Group; and a year ago, the Compassion Sisters established a community here as part of our community outreach. The heritage and spirit of independence within the community is reflected in the parish. The original Catholic Church in Westport was built near the beach 17 March 1868. St Canice’s Church, was built in 1887, on corner of Brougham St and Queen St, Westport. 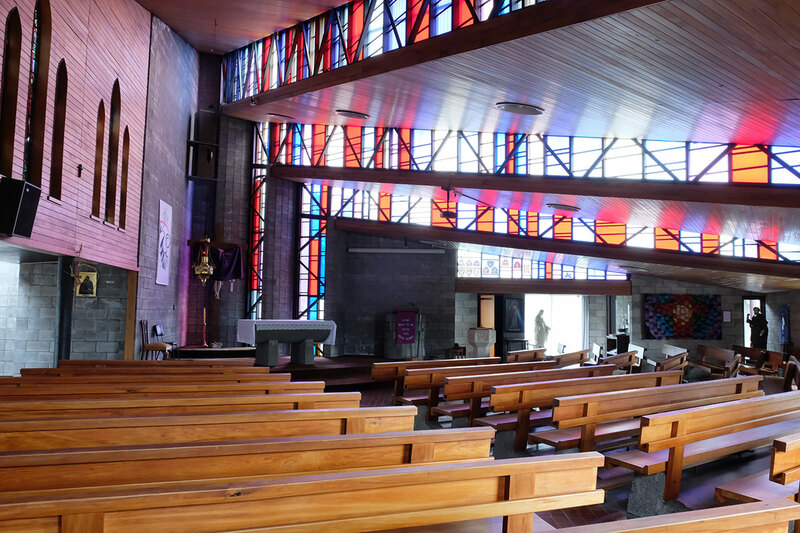 The present St Canice’s Church was built in 1975 and designed by New Zealand architect John Scott. 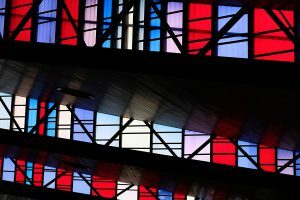 It is based around the shape of a fan, and made from cast concrete or concrete block, stained wood, coloured acrylic, hard floors and timber. Four stepped triangular sections radiate out like a fan. The horizontal and vertical steps between the levels, let light through to the interior. Inside, on the right, the church has matai across the ceiling and on the left coloured light enters through the spaces above. it is people, it is people! St Canice School opened in 1882. The school was staffed by lay teachers until the Sisters of Mercy arrived from Australia and began teaching in 1894. 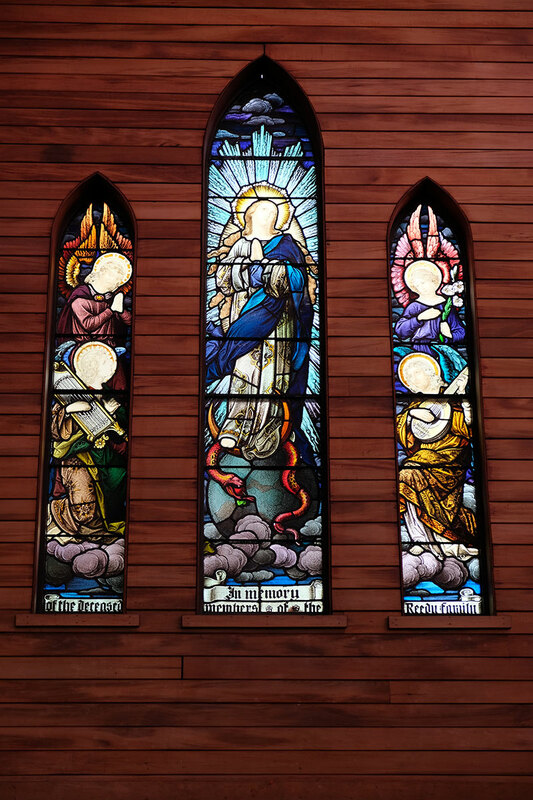 In the 1970s lay teachers returned to the school with Sr Mary Declan having the distinction of being the last Mercy Sister to teach at St Canice’s. Today there are 135 students at the school. 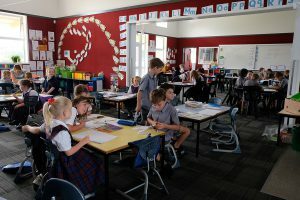 Principal Peter Knowles says because they are a relatively small school and in an isolated area, the children are resourceful and self-sufficient. ‘Isolation brings many good aspects out in people and it also consolidates a feeling of belonging within a community – not just as Catholics – but as part of the whole town. The school has been built on the huge pride of several generations, which makes us unique. 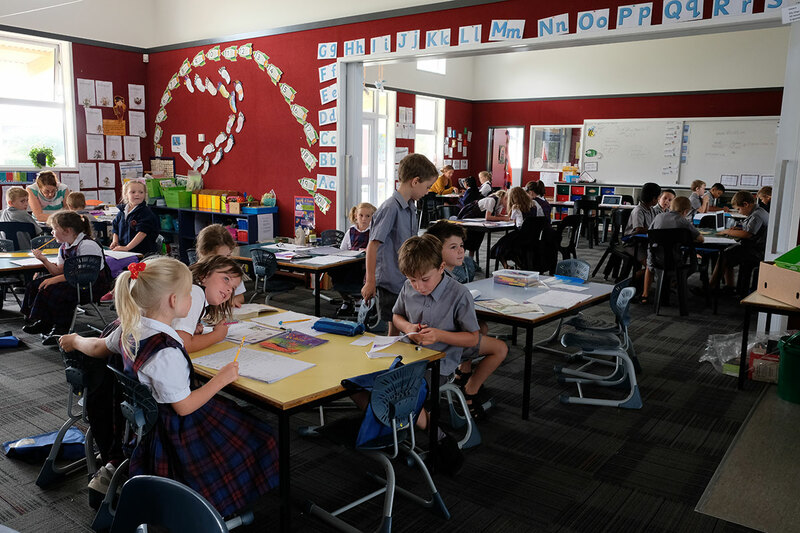 ‘The whole school is actively involved in the community and everyone knows who we are. For example, we continue to be involved in the Anzac Day commemorations. We always promote the Catholic charism. Our academic achievements are excellent; the children are well behaved; sport is central to the spirit of our school and community; and we have very dedicated staff and Board of Trustees. 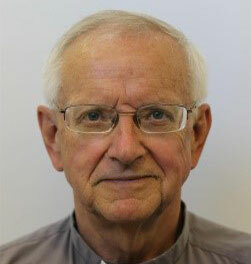 Fr David Gruschow works very closely with us and does the Society of St Vincent de Paul. Peter Knowles is also chair of the Principals’ Association for the Buller District and the lead principal for the Buller Kāhui Ako Community of Learning. Sport is very important at St Canice School. Anne Kilkolly and Julie Hands, outside the SVdP shop in Westport. 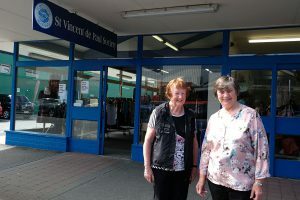 Westport’s St Vincent de Paul Society was established in the 1950s. It continues with its work to provide clothing and household goods through its shop in Palmerston St, and today also operates a foodbank. Most of our volunteers are women in their seventies Julie says. ‘We need younger people and more men to help with our work. Many of our volunteers are not Catholic but they are very supportive of Vinnies. Sr Lusiana and Sr Emaleti, Westport. Sr Lusiana Raradini dolc and Sr Emaleti Kono Kono dolc arrived to live among the community of Westport just over a year ago. This was in response to an invitation from Cardinal John Dew for the Sisters of Compassion to establish a presence on the West Coast. 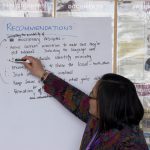 In line with the Synod 17 recommendations, the Sisters help with those out on the edges – on the peripheries. 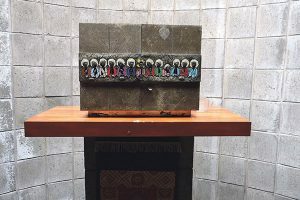 This also reflects their own upbringing in village in Tonga and Fiji, ‘where everyone is connected’. One of the important ministries for Srs Lusiana and Emaleti is to listen or to ‘just be’ with people. 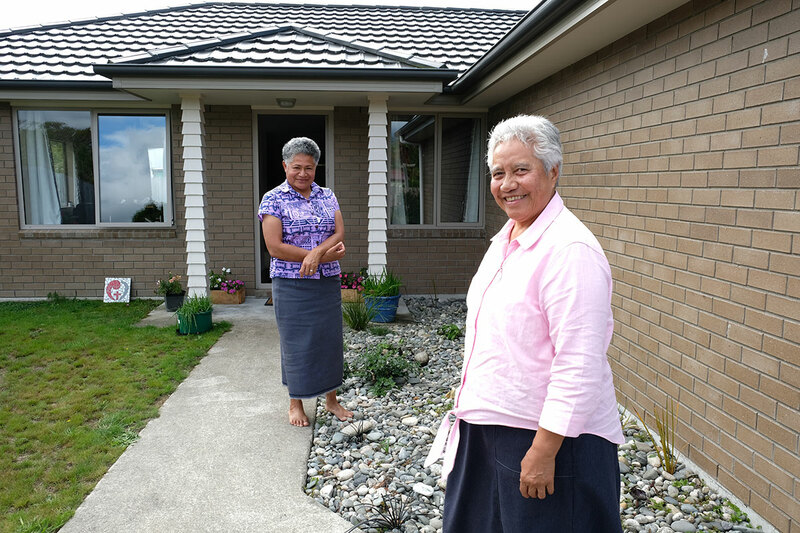 The sisters make visits to homes as well as weekly visits to the schools in Westport and Reefton to teach silent meditation. 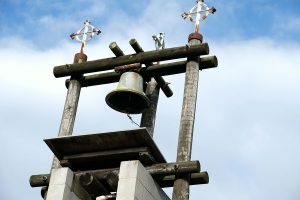 They also attend a prayer group, which rotates among parishioners’ homes. 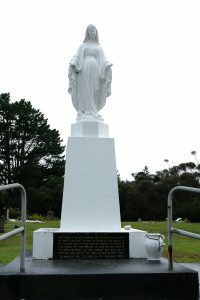 The Sisters are following in the footsteps of Venerable Suzanne Aubert and Sr Magdalen who toured the West Coast from 28 February until 21 November 1888. Suzanne Aubert’s diary on 3 April 1888 reads: ‘Arrived at Westport after six o’clock. Beautiful, but dreadful road’. 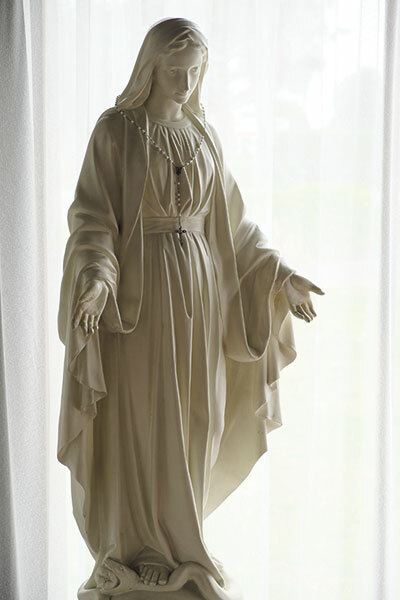 The Statue of Our Lady of The Way is on the roadside at Charleston. The statue is a symbol of the love of God and the care given by Our Lady to all who travel the highways. It was erected in 1955 and blessed on the eve of the Assumption 14 August 1955. Reportedly, more than 2000 were present at the opening. Statue of St Canice in the grounds of St Canice Church, Westport. St Cainnech of Aghaboe (515/16–600), also known as St Canice in Ireland, St Kenneth in Scotland, St Kenny and in Latin, St Canicus, was an Irish abbot, monastic founder, priest and missionary during the early medieval period. He was born in Glengiven, near Dungiven in Ireland (now Country Derry). Cainnech preached Christianity across Ireland and to the Picts in Scotland. He wrote a commentary on the Gospels, which for centuries was known as the Glas-Choinnigh or Kenneth’s Lock or the Chain of Cainnech. Cainnech was considered a man of virtue, great eloquence and learning. His feast day is 11 October. In 543 Cainnech became a pupil at Finnian’s monastic school at Clonard. During the sixth century, some of the most significant names in the history of Irish Christianity studied at the Clonard monastery. 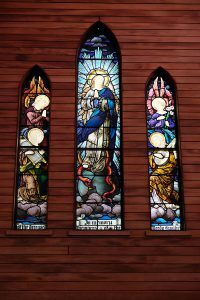 Twelve students who studied under St Finian became known as the Twelve Apostles of Ireland. Cainnech was one of these. 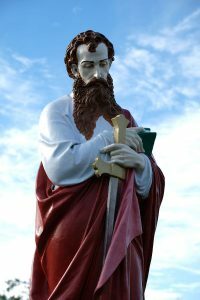 At Clonard Cainnech became a friend and companion of St Colmcille (Columba). He went to Saint Cadoc’s monastery of Llancarfan in Glamorganshire in Wales, where he was ordained a priest in 545. He left for Rome to obtain the blessing of the reigning pontiff. In 550 he returned to Glengiven. In 565 Cainnech joined Columba in Scotland, where he is known as St Kenneth. On Iona, St Columba had a prophecy of a ‘certain holy and excellent man, who will arrive here among us before evening’. Despite a perilous storm Cainnech arrived after a safe and calm crossing. St Columba received him that evening with honour and hospitality. Cainnech built a church in the place now known as St Andrews. He returned to Ireland and spent time in County Meath and Ossory (now County Laois). In Ossory the king, Colmann son of Feradach, Colman gave him grants of land including Aghaboe (;the field of the Ox’), which became his principal monastery. Kilkenny was one of the last parts of Ireland to be converted to Christianity. Tradition reports that in 597, Cainnech led a Christian force to Kilkenny to eliminate the last of Druidic rule in Ireland. The last Archdruid of Ireland had retired with his Council to a mound in Kilkenny for safety. Cainnech led an army there and overcame them. He founded a monastery near what is now the Church of Ireland’s St Canice’s Cathedral. He died and was interred at Abbey of Aghaboe in 599/600.